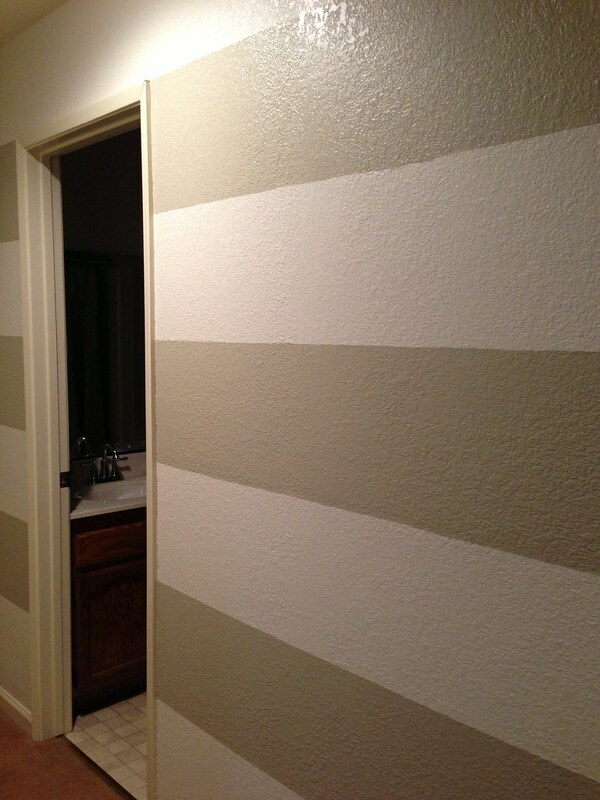 While Joshua finished up the last of the entertainment room, I began a new project: stripes in the hallway! I wanted to do a relationship timeline in the hallway, but I wanted to jazz up the wall a little more. 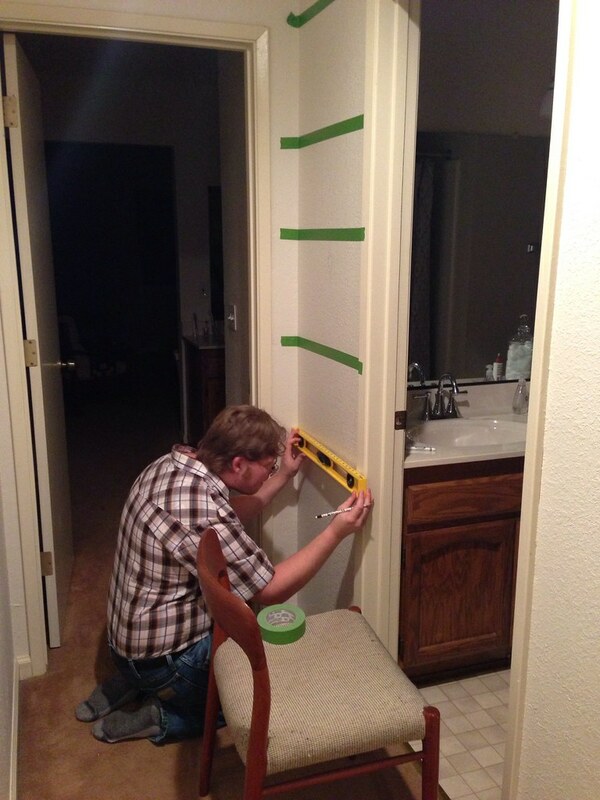 I found a few tutorials on painting wall stripes, so we used the tutorial from PBJStories. 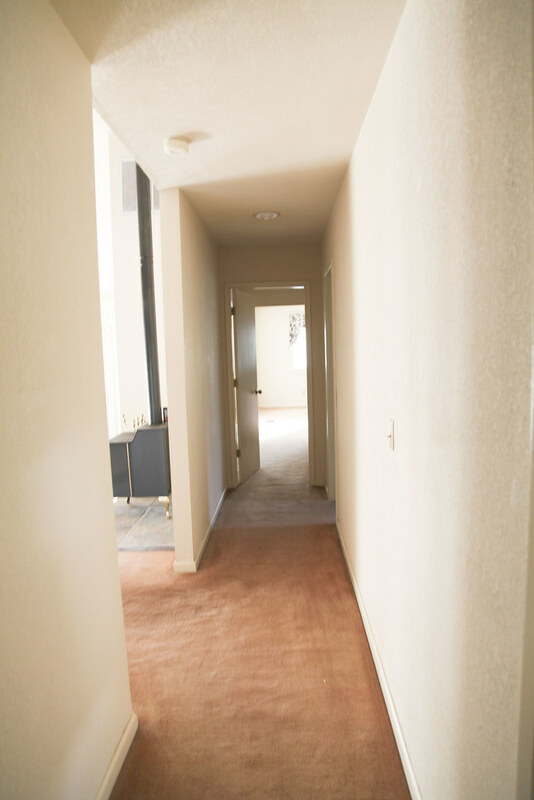 We measured and marked every 13″ till we got to the bottom. It evened out quite nicely. After Joshua taped, I painted.